After a great Melbourne Spring Cup in September, the Starcraft II action continues this January with the 2017 Melbourne Summer Cup. With an increased prize pool, increased casting capabilities, we are looking to improve on the LAN from last time, and make this even bigger and better. This is mainly for giving me a rough idea who will be attending. You can still sign up on the day. Equipment: It is advised that you bring your own keyboard and mouse for comfort, but if you can't, don't worry. There are good headphones, mousepads, keyboards and mouses for you to use if need be. We are really excited to be hosting this tournament at the Zen Gaming Lounge. They really do have an amazing set up. On the third floor they have a room full of bean bags and TV's where players can chill out and enjoy the rest of the games in the tournament between their games. They also have a whole selection of board games that you can enjoy in the downtime. There will also be plenty of blizzard goodies to give away at the event and on stream: tune in to win! All competitors on the day will receive membership rates thanks to Zen Gaming Lounge. This reduced rates is $3.50 per hour. Last edited by syfChadMann; Mon, 26th-Dec-2016 at 9:21 PM. damn cant make it, have fun guys! YES!! another melbourne cup!! we know if pig'll be coming to this? I'm not missing this for the world. I look forward to seeing you all! Still waiting for confirmation on whether or not my gf can get time off work to fly down with me. I feel really bad for travelling around Australia without her. I think I'll come either way but I haven't booked my flights yet. She's such a dog, can't get time off work. Good to see some in doubt people confirming! Getting very excited now. 10 days until the event. I will be putting up a few last moment notes a couple of days before for all participants. If there are any questions from anyone feel free to ask. Indeed. We decided not to let you cast this time . But yes it is better this time. 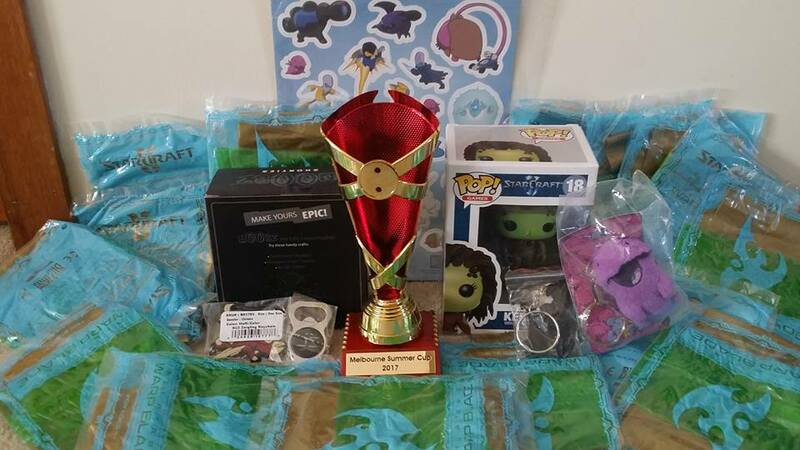 We have got a whole bunch of giveaway items to go along with the winner's trophy! We will be handing these items out during the day. How to win? Participate in some ingame and out of game mini games. 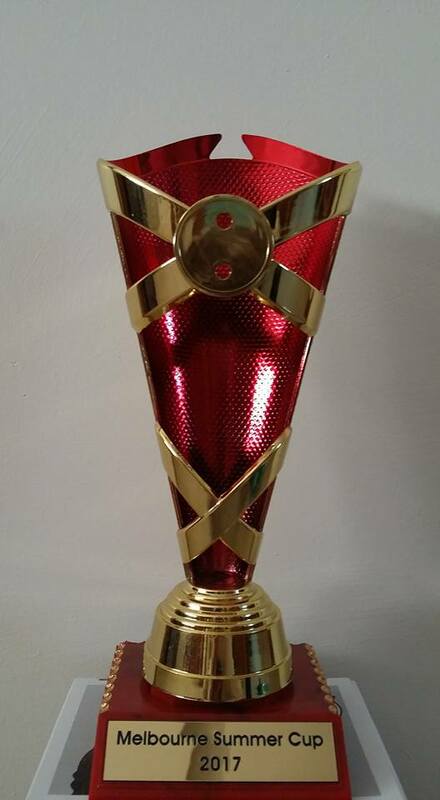 Reminder that the tournament is this Saturday! Only 3 more sleeps. Today's the day. The tournament begins in just under 3 hours. Try and be there earlier to set up and get ready to play. The tournament's main playing area is downstairs so we will fill those computers up first. Looks to be a good day, be sure to watch the stream if you aren't attending. Thanks guys for supporting the event. If you have any feedback please comment here. Was good fun being back at a sc2 event! Thanks probe! Thanks for hosting Probe & Zen Gaming Lounge! It was really, really good to catch up with people again (some I haven't seen in 2 years), and to visit Melbourne again. Seriously looking forward to the third one.